Former Colorado Governor John Hickenlooper is a rare breed on the left as someone who has charted a reasonable path on energy and environmental policy. As Governor of Colorado, Hickenlooper supported smart energy policies, helping Colorado become the fifth largest oil and gas producing state in the country. As a former geologist who once drank fracking fluid to prove its safety, Hickenlooper understands the science behind energy extraction and the modern technologies that make it safe. And just this week, Hickenlooper released an op-ed saying that the “Green New Deal” is “unachievable” and “sets us up for failure.” It’s encouraging to see those on the left wise up on energy policy, and we welcome it. 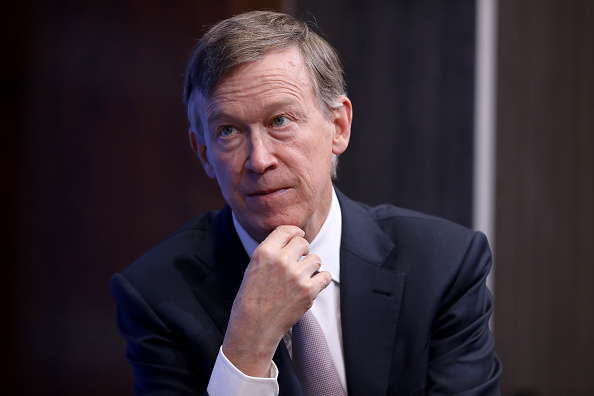 Hickenlooper signed the pledge, but then, “Griffin Sinclair-Wingate, a member with the New Hampshire Youth Movement, later clarified to Hickenlooper that the pledge included not just corporations, but individuals tied to fossil fuel companies as well.” Hickenlooper then crossed his name out. The New Hampshire Youth Movement then attacked Governor Hickenlooper on Twitter. Governor Hickenlooper here is right to be inclusive in his campaign, but perhaps for the wrong reason. It’s not just about sorting campaign donations. Those who work in the energy industry deserve every right to political representation, and they should be able to support candidates for office, whether it means volunteering, making phone calls or simply just writing a check. But groups like the “New Hampshire Youth Movement,” which promotes the “Green New Deal,” want to stigmatize people who are employed in an entire line of work. Unfortunately, a number of other 2020 Democratic candidates have signed the pledge, including Senators Bernie Sanders, Elizabeth Warren, Kirsten Gillibrand, Governor Jay Inslee, and Mayor Pete Buttigieg. But thankfully, Hickenlooper shows there is still hope for the left to get its act together and represent all Americans, including energy workers.